Thanks so much for stopping by again. 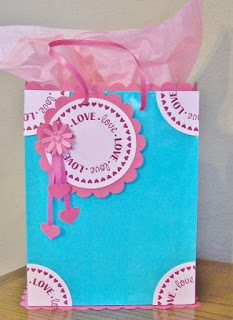 This week CAS-ual Fridays challenged us to make gift tags. I love this challenge because it makes me make nice tags for my Christmas gifts. Thanks CAS-ual! I love blue and white for Christmas projects! I cut my tag from cardstock and scored an 1/8th inch line on all sides of the tag. I stamped the sentiment and the snowflake around the hole at the top with white pigment. I stamped and fussy-cut three poinsettias. I adhered maroon gems at the centers and attached the blooms with foam tape. I slipped on matching maroon ribbon at the top. I almost always decorate my punched holes on tags. I think it adds such a nice touch. 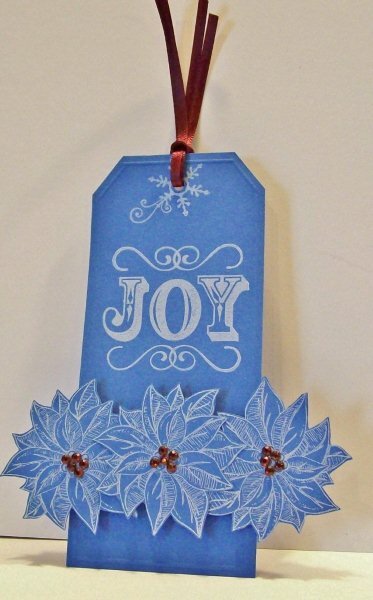 I just added this tag to Paper Crafts December Gallery Challenge too. 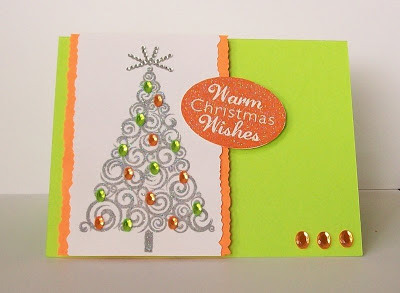 I created this card for the Keen on Neon Holiday Challenge in the Moxie Fab World. Cath really had me thinking on this one, but I had fun! Here's my neon green and orange Christmas card. I remember fondly Grannie's silver Christmas tree. I'm sure you all have memories of those shiny trees. Well, I loved her tree. She had a color wheel she would sit underneath the tree. When she turned it on, gorgeous color shafts played through the branches! So of course, I had to create a silver tree on my card. I used silver pigment with kaleidoscope powder to heat emboss the tree. Then, I hung neon green and orange ornaments on my tree. I also heat-embossed the sentiment using neon orange pigment and kaleidoscope powder for more spakle. I made the 'star' at the top with left over 'V's from an alphabet sticker sheet. Grannie would have loved my tree. I miss her very much. 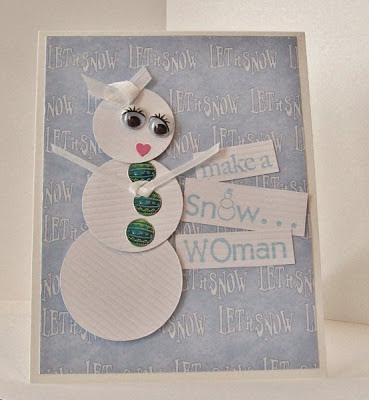 There is a fun challenge going on in the Moxie Fab World over at Paper Crafts. 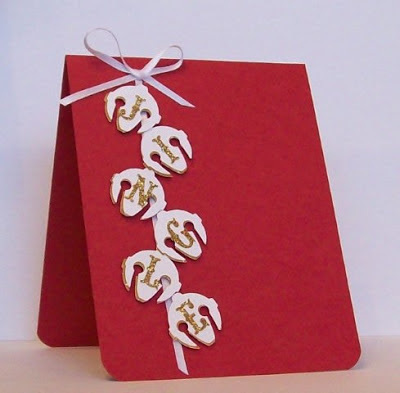 Cath issued a challenge to make Holiday cards, gift tags, etc. using neon colors. I created these gift tags a little while back. They are neon orange and dark turquoise. Who says you can't use non-traditional colors for the season? In fact, that really appeals to the rebel in me. I have another contribution coming up shortly. I used Fiskars stamps and crimper to make these tags. Update: November 30, 2012 - Just found out that DCWV chose this card as one of their TOP-10 cards for November! Thanks so much for stopping by! Hope you are having a great day. It's time for another Card Sketch Challenge at DCWV. You can see the inspiration sketch as well as the blog address below. Here's my take on the challenge. I used DCWV's The Heirloom Stack to create my card. As you can see from the sketch, I turned it on its side. First, I trimmed and matted a darker, multicolored panel with a golden, wheat-colored paper to cover the entire front of a plain, white 7x5 card. Then, I picked five coordinating papers from the stack to make the pleated medallions. Each medallion began as a 3/4" x 12" strip of paper. I scored each piece every 1/4" and folded it using accordion fold. I punched medium hearts from the same papers using Fiskars' That's Amore punch. I added a sentiment from Fiskars' Friends Forever Quotes and added a flourish from Spellbinders' Parisian Accents. Thanks so much for stopping in today! I hope your day is as sunny and bright as mine. CAS-ual Fridays challenged us this week to make a project with a torn element. Here's my take on the challenge. I've been making Christmas cards this week so I took the challenge in that direction. First I made a 4.25 x 5.5 card out of black cardstock. Then, I cut a piece of dark red cardstock 4 x 5.25 and dry embossed it with A2 Quatrefoil embossing folder from the Paper Studio. I tore the bottom edge and added black ribbon and sparkly buckle also from the Paper Studio Spare Parts. 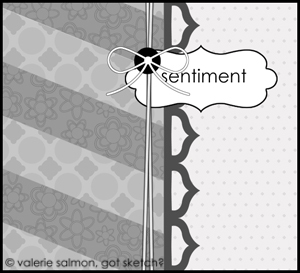 The sentiment is from Fiskars All Year Cheer Collection. 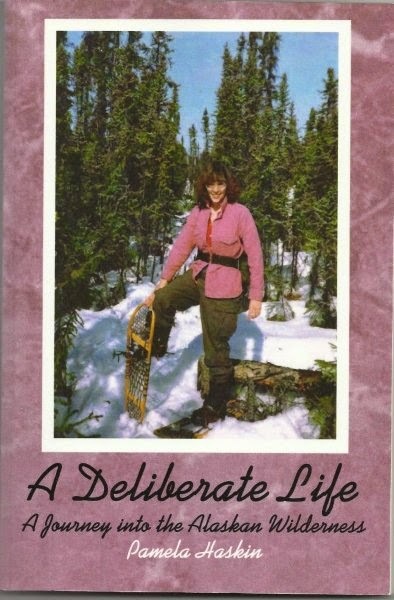 I think Mom will get this card. She loves anything shiny and red! Thanks so much for stopping by. If you have an idea for a torn-edge project, you still have time to get it ready. You can find all the details here: http://cas-ualfridays.blogspot.com/2012/11/cfc78.html. 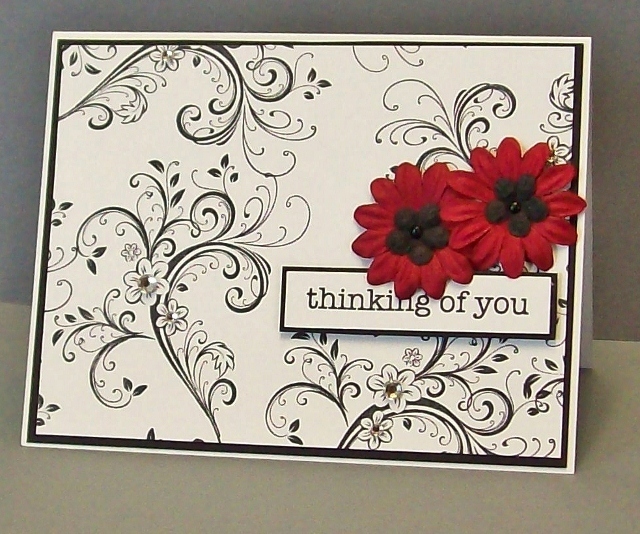 I made this card for the Tuesday Trigger - Ready for Red Challenge in the Moxie Fab World. I love the black and white background from the inspiration photo (below). 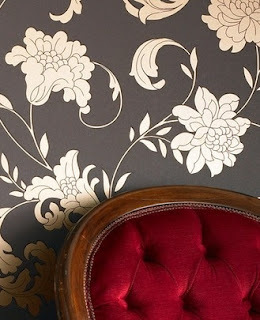 And, that little pop of velvety red is perfect. I stamped my background with a stamp from Paper Inspirations called Floral Flourish. It is one of my favorite stamps of all time. You can use it in so many ways. I matted the front panel with black and added a couple of dark red paper flowers with black ceners. I made this card for the Square Punch Challenge in the Moxie Fab World. I started by making a 5.5" x 4.25" card base out of pink cardstock.﻿ I embossed two white panels with Spellbinders Impressabilites Flourish die. I adhered one to the front of the card. On the other panel, I randomly painted back and forth with three colors of Copic Markers. I used Peony-RV69, Tender Pink-RV13 and Marigold-V05. Then, I cut five 1.25" squares from the colored panel with my square punch. I rounded two corners on each square and laid them out like a necklace chain. For the pendant, I stamped the sentiment using Hero Arts Joy Ride CL481 on a square of white cardstock with pink ink. I rounded three of the corners on that square and matted it on the fifth square (also rounded on three corners) of the painted, embossed panel. Lastly, I added graduated sizes of aroura borealis gems. Good morning! Thanks for stopping in. CAS-ual Fridays challenged us this week to make a card with Kraft paper or cardstock. Here's my take on the challenge. I started by making a card base with Kraft cardstock. The 'white and kraft script' background is from Prima's Madeline collection. 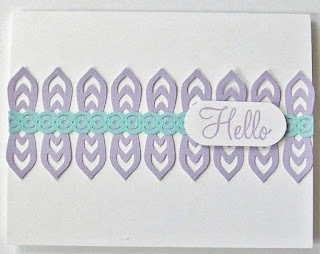 I cut two lengths of border from the Kraft cardstock and backed them up to each other. Then, I added three fall-colored leaves and attached the 'hope' button to create the focal point. 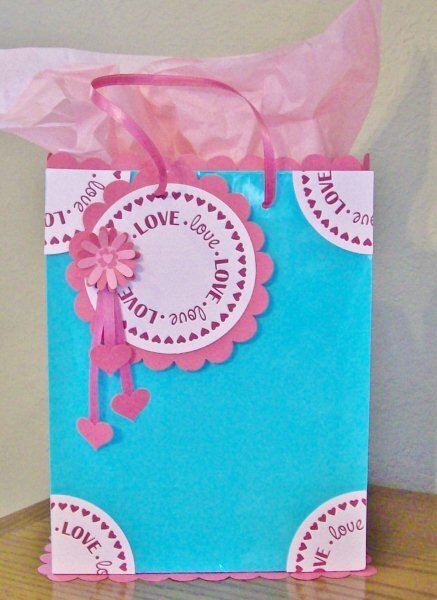 Do you have a project in mind using Kraft cardstock? You still have plenty of time to make it and enter it in this week's challenge at CAS-ual Fridays. You can get all the info about joining in the fun here: http://cas-ualfridays.blogspot.com/2012/10/cfc76.html. I will look forward to seeing your work in their gallery. Thanks so much for stopping by. I always love your visits and comments! Welcome to the Third Annual Fiskateers ORANGE Blog Hop! If you're hopping along, you should have come from Donna #6036 www.scissorsstampsandscrapbooks.blogspot.com/ (If you are joining us in the middle, go to www.fiskateers.com to start from the beginning.) Today we are celebrating Fiskars' signature color, ORANGE. Almost everyone is familiar with Fiskars' famous orange-handled scissors, but Fiskars makes so many other wonderful products for crafting, sewing, gardening, and more. Each stop along our Hop will feature different Fiskars' products with a big helping of ORANGE! There will also be a giveaway from Fiskars for a lucky few who visit all the hops. And, I have a prize to giveaway too! Make sure you read this post all the way to the bottom for info on how to enter. Orange Christmas? Yes, of course, you can use orange - and turquoise - for Christmas! I'm a bit of a rebel when it comes to expected colors and using stamps and punches for their intended purpose. So, when I was asked to join this blog hop and the rules said I had to use orange I thought why can't I use orange for my Christmas tags. Here's my take on the challenge. The rectangle tag measures 2.5" x 5.5" and the circle tag is 4" across. I used four different Fiskars products to make these tags, but you should feel free to change them in any way and make them your own. Let's take a closer look at the round one. 1. Cut a 4" circle in turquoise cardstock and run it through a crimper. 2. Cut a 3.5" circle in orange cardstock. 3. Line up the two circles and punch holes for the ribbon. 5. Adhere circles together with foam tape. 6. 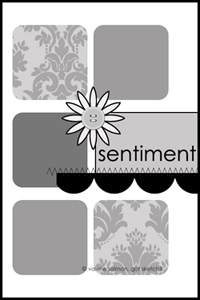 Stamp sentiment, mat with crimped turquoise and adhere with foam tape. 7. Apply turquoise gems to snowflake centers and tie on ribbon. Supply list is at the end of this post. Now for my giveaway! I have a Fiskars border punch to give to a lucky blog-hopper. 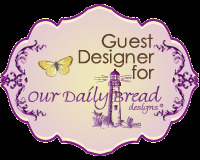 All you have to do to enter is sign up as a follower of my blog and leave a comment on this blog post. If you are already a follower, you may just leave a comment letting me know you were here and are a follower. Thanks so much for hopping with me today. It's always fun to have you stopping by. 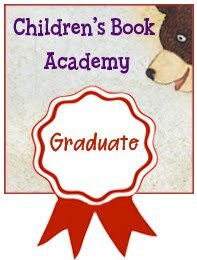 My blog will be a hop along the way! I'll have directions here on how to start at the beginning or you can just visit my site. Looking forward to sharing some fun things with you guys! Time for another Tuesday Trigger in the Moxie Fab World. 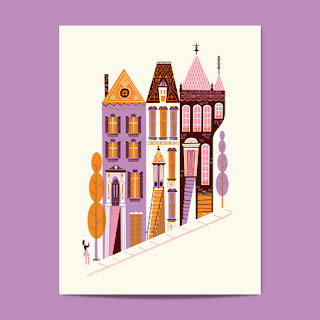 I've been working on Christmas cards lately, so when I saw the inspiration (see it below) Cath provided us this time with the tall, skinny, pointy-roof houses all bunched up together I got an idea for this Christmas card. Using stamps from Fiskars' Seasons Greetings collection, I stamped 'MERRY' randomly on the blue background with VersaMark watermark ink. I heat-embossed 'Christmas' (from same collection) in white, matted it with white cardstock and adhered it to the card with foam tape. The trees are also heat-embossed using ColorBox's Cyan pigment and clear embossing powder. The trees are actually a varitey of upside down flags I stamped using Hero Arts Friendly Flags (CL475) collection. I attached the tallest tree using foam tape. Thanks for popping in today. I always enjoy having your visits to my blog. 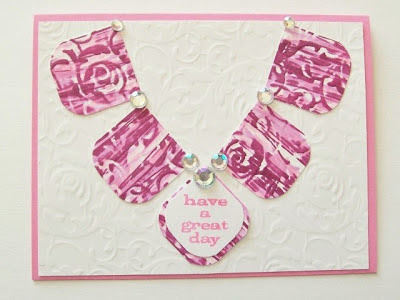 This week's challenge at CAS-ual Fridays is to make a card with an embellishment that goes past the edge of the card. Here's my take on the challenge. I like using embellishments in unexpected ways. So I'm turning this border diecut that I love from Spellbinders (Parisean Accents) into banners. 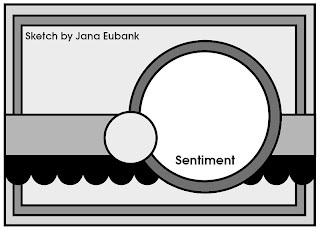 The sentiment and the woodgrain mat behind the sentiment are both form Hero Arts. The sentiment is my over-the-edge element. I will also submit this card to Hero Arts October Sketch Challenge. UPDATE: November 2, 2011- I'm so excited! I just found out that this card made it to the TOP-10 list at DCWV! I've been working on Christmas cards this week. I made this one for the October Card Sketch Challenge at DCWV. I used The Coral Couture Stack for this card. I love using unexpected colors for my Christmas cards. 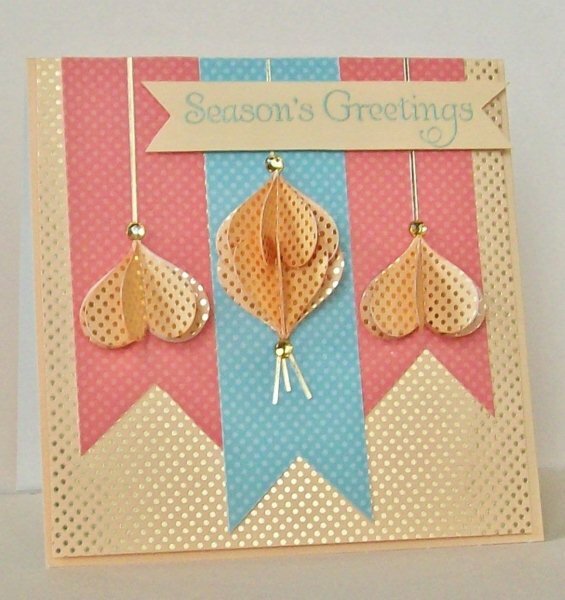 While the peach with shiny, gold dots is very Christmasy, I don't see a lot of Christmas cards with coral and mint green. I created the ornaments with my Fiskars That's Amore large heart punch. These ornaments also fold flat so that I can mail the card. 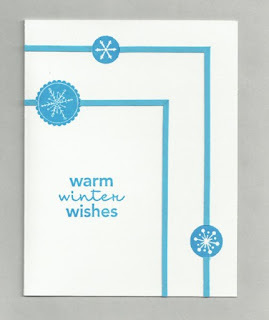 I heat embossed the sentiment using stamps from Fiskars Season's Greetings collection. Here's a copy of the sketch Erin at DCWV gave us to work from this month. Thanks so much for stopping in today. Your comments are so encouraging. Easel cards are so much fun to make! I made this purple and blue Christmas card through a long string of challenges with another Fiskateer. Don't know what a Fiskateer is? Click on that button over there on the left. We have so much fun there! I used stamps from both Inkadinkado and Fiskars. 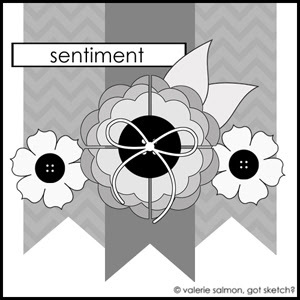 I stamped the doily and sentiments with white ink. The patterned paper comes from the Paper Studio. Every year I try to choose colors for my Christmas cards that people don't expect like this one that is purple and blue. I've also done turquoise and white which are beautiful together. Thanks for stopping by. 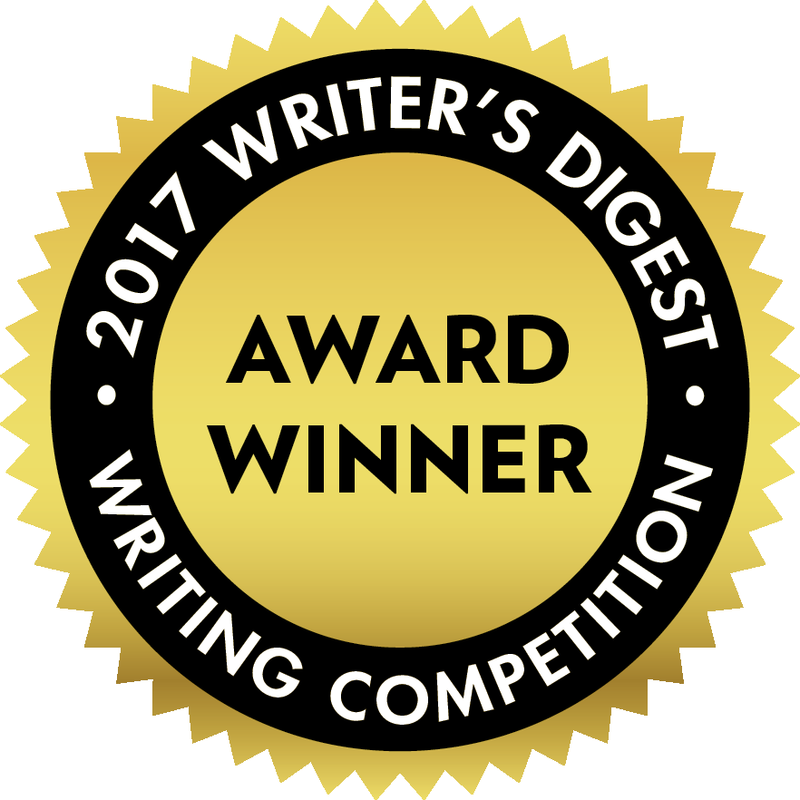 Congratulations to Amy Jones (8546)! 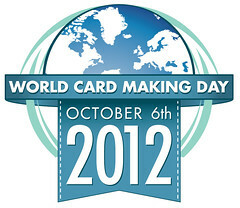 She is the winner of my World Card Making Day giveaway. Amy has won some Fiskars Simple Stick stamps and a few other goodies to help fill up the package. 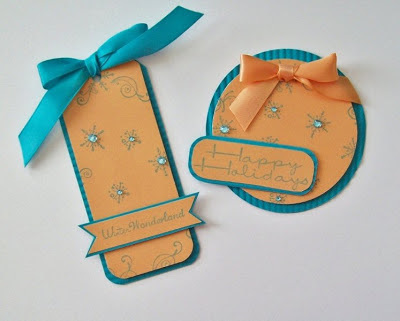 Here's Amy's best card making tip: " . . . don't be afraid to mix and match colors. Some colors really do go great with each other more than you thought. The simplest card can be just as pretty too." Thanks to everyone who entered and left tips. There were so many great ones. Amy, I will send you a private email to get your mailing info. I made this Halloween card using a couple of Fiskars' heart punches. But first, I cut a pumpkin shape out of orange and white polka dot paper and shaded in the segment lines with a brown colored pencil. I used Fiskars' medium That's Amore heart punch for the eyes, mouth, bow and even the bat-wing eyebrows. I punched only the very edge of the heart to get this affect. The bow is two hearts glued together at the points. I used Fiskars' 1/4" heart punch for pupils and teeth. 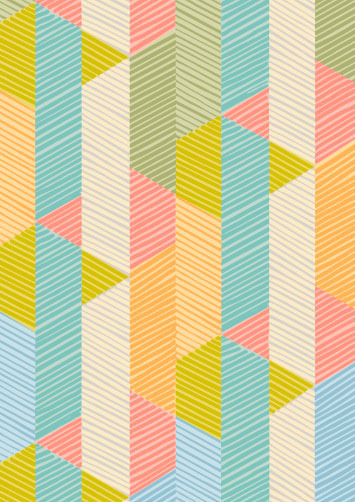 The pretty background paper comes from DCWV's Heirloom Stack. Using my computer, I first printed the sentiment on a sheet of white cardstock. I used Edwardian Script ITC at 48 pts in pink. With the same white as the card, I punched the lattice chain with EK Success' large edge punch then trimmed the edge to a point. I punched a Martha Stewart butterfly also in white. I used clear gems on the butterfly, coloring them to matching pink with a Copic marker - Tender Pink RV13. This one is for you, Grandma! I miss you and am so proud of your courageous fight. I'll see you in Heaven. I'm here and ready to start making cards! Thanks so much for stopping by. This is going to be a fun day! Good luck to all who enter my giveaway. I have a really fun prize that I will tell you about later today. Make sure to sign up as a follower and leave your best card making tip in the comments for your chance to win. Current followers only need to leave a comment. I'll be back shortly with a card to show you. This week's challenge from CAS-ual Fridays is to toot our own horn by drawing inspiration from our own blog banners. Here's my take on the challenge. 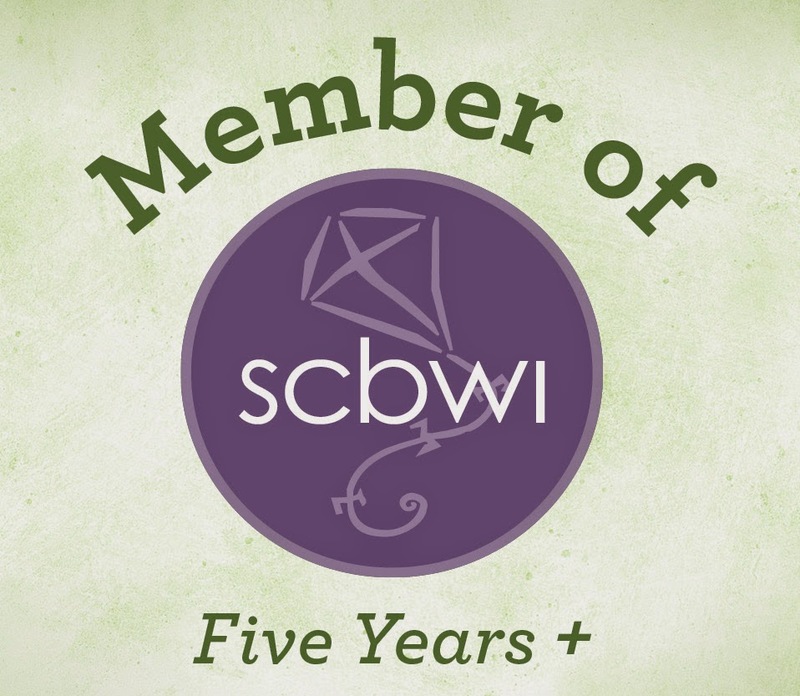 The purples in my banner as well as the double borders behind my blog title inspired me the most. To get started, I used the Dahlia Dimensional Punch from EK Success. EK designed the border to be rolled up after it's punched making a beautiful flower. Instead, I punched two lengths of the border and adhered them back to back to create the double-border from my inspiration. Then, I punched the double link trim with one of Martha Stewart's double-edge punches. 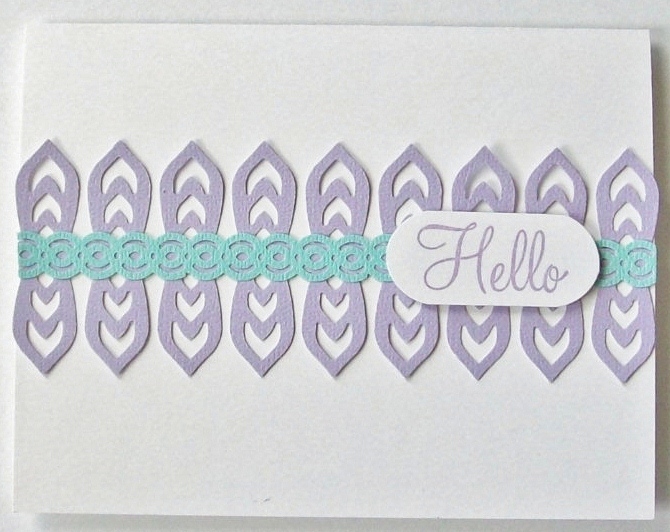 Then, I stamped the sentiment with TPC Studio's wonderful "Hello" stamp. I just love this stamp! I made this card for DCWV's September Card Sketch Challenge. 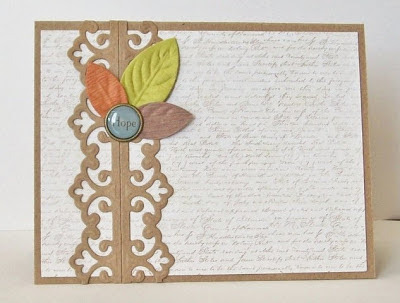 To show all my followers and visitors that you don't have to have a lot of tools and stamps to make a beautiful card, I challenged myself to make a card for this challenge using nothing but scissors and adhesives. The green and purple cardstock comes from DCWV's Chateau Lavendar Stack. Everything else I cut from patterned papers in DCWV's Heirloom Stack. Even the gingham ribbon and the sentiment are cut from a sheet of paper from the Heirloom stack. I used foam tape behind the flower and measuring tape, but you could use a glue stick. I created this card for the CAS-ual Fridays weekly challenge. 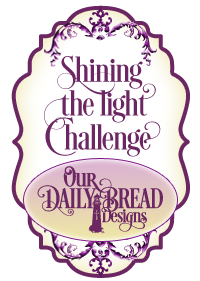 I'm also sending a copy of it to the Movement Challenge in the Moxie Fab World. The challenge was to make a card using black and white and one other color of our choice. I had these great stickers that I won from Graphic 45. So, I decided my other color would be the khaki color used in the background of these beautiful stickers. I made the lattice trim with an EK punch. I stamped the senitment with a Hero Arts stamp (CL342). Thanks again for stopping in. Hope you have a great day! You can vote 5 times per day - all at once if you want. And, here's a picture of my gift bag. 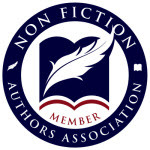 It is on PAGE 11 of the entries near the bottom of that page. At the bottom of the first page, there is a 'skip to page __' thing you can click and it will take you to page 11. You can have 5 votes per day. I think you may have to 'like' the page to vote but I'm not clear on that. 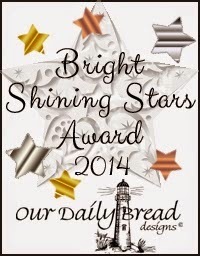 There are a lot of fun projects so I'm sure you will find some you would like to vote for. Thanks so much for your support! Hope you have a great day! Thanks so much for stopping by. Who doesn't love a day at the beach or on the ocean? I love hearing the rustle of the wind blowing through the palm trees. So, when CAS-ual Fridays asked us to create a card using something in or near the ocean, I picked a palm tree. I heat-embossed the tree and sentiment. Then, I colored the tree with alcohol markers and added an orange mat and acccents. One reason I love palm trees is that they remind me of the power of God. It seems that no matter how strong a storm is, the palm tree remains standing. It might lose a few or even all of its fronds, but it remains standing. That's how it is with me and God. I have faced some terrible storms in my life, but as long as I've held onto God, I've always made it through. Mint green is such a nice color to work with. It is so fresh and lively and always cheers me up. That makes it the perfect color to send a hello to a friend. This card stands nicely on a desk or table and easily folds up to fit in a regular size envelope for easy mailing. To make this card, cut a piece of cardstock 12" x 5.5". Score at 2", 4", 8" and 10". Then 1.5" from top and bottom of card, cut along the the length between the 2" and 10" score lines. Using valley and moutain folds, fold along the score lines using the picture above for a guide. Then, cut panels to fit some or all of the flat areas. I added a chipboard flower and some self-adhesive border. Then, I heat-embossed the sentiment. 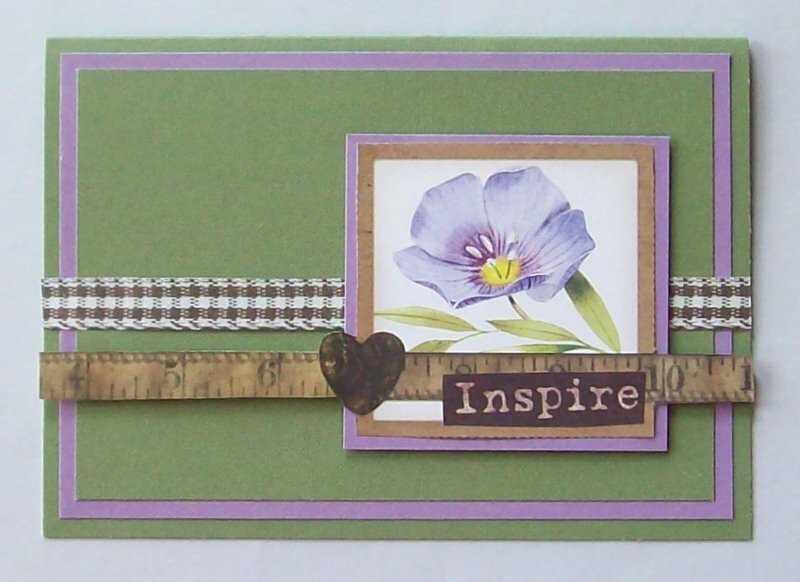 I created this card for the Minty Fresh Challenge in the Moxie Fab World. If you want to play along with us, you can create your own project using mint-green in some way and enter it in the challenge. Here's the address with all the details: http://www.moxiefabworld.com/2012/08/the-minty-fresh-challenge.html . I also entered this card in the Cardmaking Challenges going on among the Fiskateers this week. Not sure what a Fiskateer is? We are ambassadors for Fiskars and we have so much fun creating with each other. You can join in all the fun there too. Just click on the Fiskateer link in my sidebar over there on the left. I love aqua, lime and navy together so this was a fun card to create. CAS-ual Fridays challenge for us this week was to use those three colors on a clean and simple card. I heat-embossed the three large flowers as well as the centers. 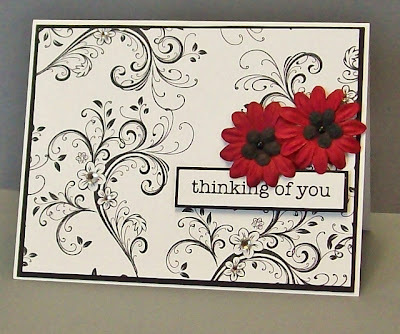 My favorite part of this card is the typewriter-key sentiment in the center flower. Sometimes when I make a card I really like, I have a hard time sending it off to anyone. lol-- I'll keep this one for a while and give it to someone special. Maybe Mom or Missy or Suzi or . . . . This card is also going over to the Tuesday Trigger challenge in the Moxie Fab World at Paper Crafts magazine. I was inspired by the old-fashioned, round typewriter keys in the inspiration photo (below). I thought the typewriter-key 'hi' would be perfect for this challenge. 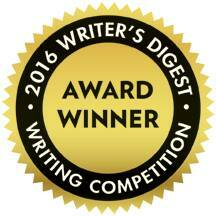 As a writer, I love old-fashioned typewriters so this was a fun challenge too.